Cricket South Africa add another Proteas tour to an already overloaded fixture list for the the upcoming 2016-17 cricket season. Cricket South Africa announced today that four additional fixtures have been added to an already jam-packed Proteas season with the team set to take on the KFC Mini-Cricket kids in the fourth instalment of the KFC Mini-Cricket Kids vs Proteas Tour. The Tour will see the Proteas challenging the KFC Mini-Cricket kids in matches taking place around South Africa between December 2016 and February 2017. ‘This season promises to be one of the busiest and most exciting in recent memory,’ commented CSA chief executive, Haroon Lorgat. ‘The addition of the KFC Mini-Cricket Kids vs Proteas Tour to the already completed matches against New Zealand and Ireland and the forthcoming games against Australia and Sri Lanka means that 2016/17 will be packed with stellar competition and excitement as well as an added element of fun for all,’ he added. The 2016-2017 KFC Mini-Cricket Kids vs Proteas Tour will not only see great competition between the two sides but will come with added spice after the announcement that Proteas legends, Graeme Smith, Neil McKenzie and Mfuneko Ngam, will coach the kids. The three ex-Proteas will be hosting training sessions with each of the competing Mini-Cricket teams and will go up against the current Proteas as coaches at each of the four tour games. Graeme Smith hopes that his previous experience as Proteas captain will help his KFC Mini-Cricket team in their quest to get one-up on the best the country has to offer. ‘I call on all KFC Mini-Cricket kids around South Africa to step up to the crease and ready yourselves to take on your heroes. The Proteas are one of the top limited overs sides in the world but I am confident that my team will be ready for them come game one,’ said Smith. The Proteas side to go up against the KFC Mini-Cricket kids will be unique in that it will be the only squad made up of both Proteas men and women. 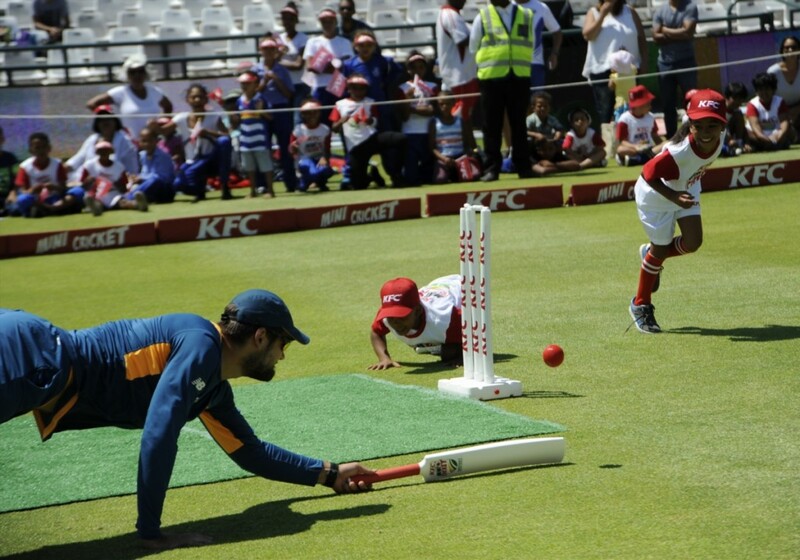 KFC will run a nationwide competition to select their teams whereby four entering schools will be drawn and will be given the chance to pit their KFC Mini-Cricket teams against the mighty Proteas.